What does Mobile First represent and how does it affect me? What Does Mobile First Represent? It means PBX vendors recognize the high level of Mobile communications between customers, suppliers and employees, but companies should continue to invest significant dollars into wired technology and expensive IP phones. 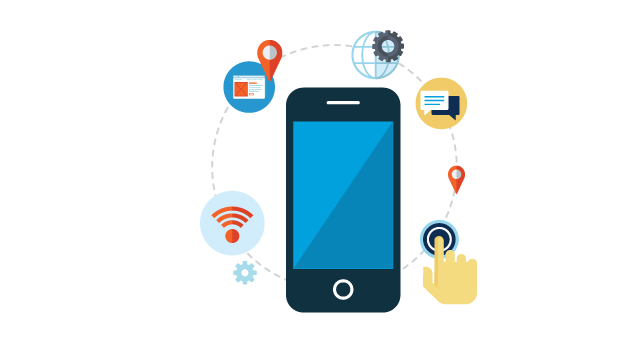 Mobile First as marketed by PBX Software providers is truly a dichotomy. If most of our voice communications is executed on mobile smartphones, we have a difficult time understanding why the investment in very costly wired IP telephones and infrastructure? The strategy behind Mobile First is to design a communication solution that focuses around IP telephony systems including IP phones and Unified Communication (UC) software. These UC capabilities are twinned to the mobile devices therefore giving them all the deck set functions. The important fact is the smartphone can have this capability without investing in a wired IP phone. We understand why the PBX manufacturers have chosen this direction; IP telephones make up a significant part of their revenue and profit streams. They are hoping this strategy will carry them well into the future, even though the writing is on the wall, WIRED PHONES ARE DEAD JUST NOT BURIED. The PBX manufacturers require time to understand how they can be part of a Mobile world, to avoid going down the path taken by companies like Kodak, Blockbuster, RIM, Nortel, and now possibly Avaya. What we don’t understand, is businesses continuing to spend (not invest) significant profits in a technology their employees are using less and less. The smartphone has revolutionized how Businesses support their customers and how they communicate with their employees and suppliers. Why are they afraid to fully convert to a mobile world? Fear of what may be considered the unknown, BUT IS IT THE UNKNOWN? We believe it takes courage to make this type of step forward but the substantial cost savings significantly outweigh the risk. Remember, work is no longer a place to go, but something we do. As we have stated in earlier blogs, the smartphone has most of the sophisticated benefits of an IP wired desk phone for far less cost and far greater access and Zigee provides the comfortable desk set experience. Is there a real Value Proposition for Unified Communications or is it PBX Vendor Hype?